Valerie Plame with (clockwise from top left) Hillary Clinton, actress Naomi Watts, Queen Noor of Jordan, and TV producer Norman Lear. No one born into this world makes it very far without developing subconscious prejudices of one kind or another. These socially-constructed inheritances tend to lessen with experience and exposure to diversity, but no one truly escapes them. The challenge is choosing not to act upon the prejudices we have or tolerate their public expression by others. Americans have made great strides in expunging overt racism from the public sphere. Sure, it pops up among celebrities in moments of stress and inebriation (Mel Gibson, Shia LaBeouf), followed by disavowals if not always outright apologies (Gibson claimed a "nervous breakdown"). But public figures who repeatedly express explicitly racist viewpoints don't get very far in this country. Antisemitism is another story, as we recently learned from Valerie Plame, the former CIA operative famously outed by officials of the Bush administration after her husband challenged its claim that Saddam Hussein had purchased yellowcake uranium in Africa. In the intervening years Plame wrote a best-selling memoir (subsequently made into a feature film), joined the board of directors of the liberal anti-nuclear Ploughshares Fund, and began commentating on wide-ranging issues. Public figures who express explicitly racist views don't get very far in the US. Antisemites are another story. On September 21, Plame tweeted out a UNZ.com article by notorious antisemite Philip Giraldi, entitled "America's Jews Are Driving America's Wars," which called, among other things, for the media to "be required to label" Jewish commentators who support Israel "at the bottom of the television screen whenever they pop up ... kind of like a warning label on a bottle of rat poison." Plame had previously tweeted at least one of Giraldi's rantings ("Why I Still Dislike Israel" in 2014) and half a dozen other screeds from the same web site (including a 2015 article claiming that Israel's Mossad "has to be a suspect" in the 9/11 terror attacks). Having encountered only scattered social media reaction to like-minded tweets in the past, Plame's initial reaction to angry responses on Twitter was to double down, insisting that "many neocon hawks ARE Jewish" and admonishing her followers to "read the entire article," which she called "provocative, but thoughtful." 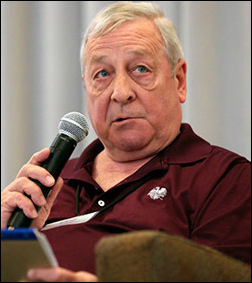 Only when the backlash began to draw mainstream media inquiries did Plame begin to backtrack, first by implausibly feigning ignorance of both the article (claiming only to have skimmed it) and of UNZ.com, then with a more full-throated apology and letter of resignation from the board of Ploughshares Fund. What's astonishing about this affair is that Plame wasn't drunk or distressed in any way (unless she found the Jewish holiday of Rosh Hashanah distressing), nor was she caught unawares on a hot mike. Her grotesque expressions of bigotry were premeditated, public, and purposed, however clumsily, to advance a political agenda. And they were largely ignored until they reached the threshold of Zyklon B metaphors and forcing Jews to display outward identification. Plame's expressions of bigotry were premeditated, public, and purposed to advance a political agenda. Even then the reaction among liberal commentators was apologetic and circumspect. Washington Post columnist Molly Roberts bemoaned Plame's "casual, careless antisemitism" not because it is deeply unsettling to Jews or encourages the worst instincts in the rest of us, but because it undermines critiques of Israel "that might otherwise hold merit" and does a "disservice to those who want to have a wider discussion about Israel's influence" in Washington. Liberals tend to view rampant antisemitism in universities and other bastions of the far left in much the same way – if they acknowledge it at all. The truth about antisemitism in America is that we are further away from dispelling it than we are other forms of bigotry. Those who peddle overtly racist dogma do not sit on the boards of reputable NGOs, do not land lucrative speaking gigs, and certainly do not get admonished in the Washington Post for "carelessly" undermining more legitimate criticism of African-Americans. Liberals for whom Valerie Plame was, and will likely remain, a cause célèbre should ponder why the equivalent cannot be said of antisemites. 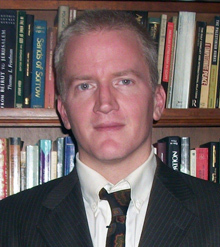 Gary C. Gambill is a research fellow at the Middle East Forum. Follow him on Twitter and Facebook.